The head of Britain's financial watchdog has admitted he met with Saudi Aramco over a potential £1.5tn stock market flotation in London. Andrew Bailey, chief executive of the Financial Conduct Authority (FCA), held the talks before publishing heavily criticised rule changes that could attract a multi-trillion pound listing from the oil giant. MPs and big-hitting City institutions have expressed concerns about the proposals, which would exempt state-controlled companies from stringent rules that apply to other "premium" firms. Saudi's state-owned Aramco is preparing to list only around 5% of its shares, and the FCA plans would allow the group to side-step rules that companies must sell at least 25% of their shares to gain a "premium" status. Without the rule change, it might have to take a "standard" listing seen as less attractive for investors and companies, with lower corporate governance requirements. Nicky Morgan, chairwoman of the influential Treasury Select Committee, had written to the FCA demanding an explanation. Mr Bailey wrote: "We can confirm that we held conversations with Saudi Aramco and their advisers in light of their interest in a possible UK listing in the early part of this year. He went on to defend the FCA's proposals in his response to Ms Morgan, adding: "We do not think protections for investors will be weakened. Ms Morgan has said "questions remain about the level of political involvement in the consultation" - with MPs warning the flotation must not compromise Britain's "highly regarded" corporate governance standards. 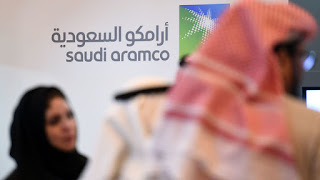 London is battling with exchanges around the world to host the lucrative float of Aramco, which is said to be valued at more than $2tn (£1.55tn) - a figure that would make it the biggest share flotation in history.